Pablo Picasso's granddaughter Marina Picasso will sell a collection of her grandfather's artwork at Sotheby's in London next month. In June of last year, Marina consigned 126 pieces of Picasso ceramics to Sotheby's, London, which saw a sales total of $19.4 million and a 100% sales rate. The auction in February will include over 100 works on paper as well as 70 ceramic and terracotta pieces. 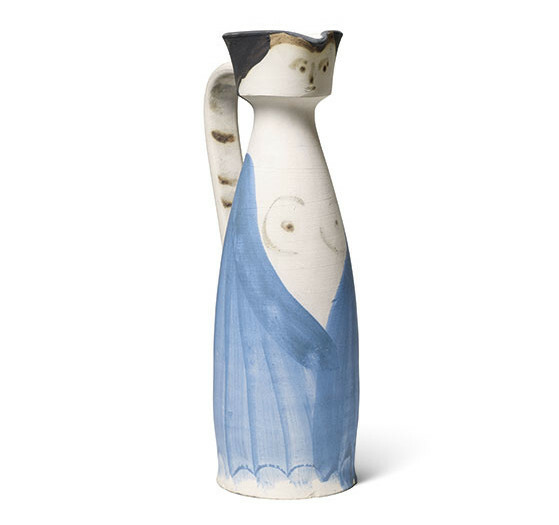 The entire catalog has yet to be released, with highlights including Visage de femme, 1962 which has an estimate of $269 000–373 000 and the 1955 ceramic jug Woman with an Open Robe which is expected to fetch at least $52 500. 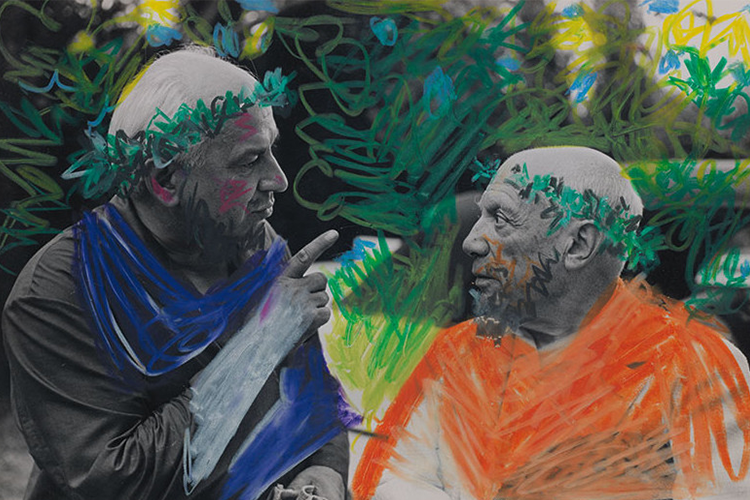 A photograph of Picasso with the architect Jacques Couёlle, which Picasso colorfully scrawled over will also feature which has an estimate of $87 500. Highlights will be exhibited January 13-17 at Sotheby's New York and January 28-February 4 at Sotheby's London. Search Picasso in Barnebys realized prices.